A Food Container With an Agitator - GlobeCore. Oil Purification Systems. blending of viscous and liquid food products of several components. GlobeCore containers with an agitator produce high-quality blending, dispersion, and homogenization and can be used virtually in all sectors of the food processing industry. GlobeCore containers perform different technological processes at food production facilities. 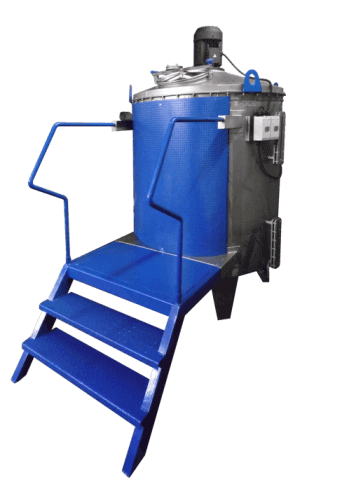 The use of the containers with an agitator has proven to be highly efficient. 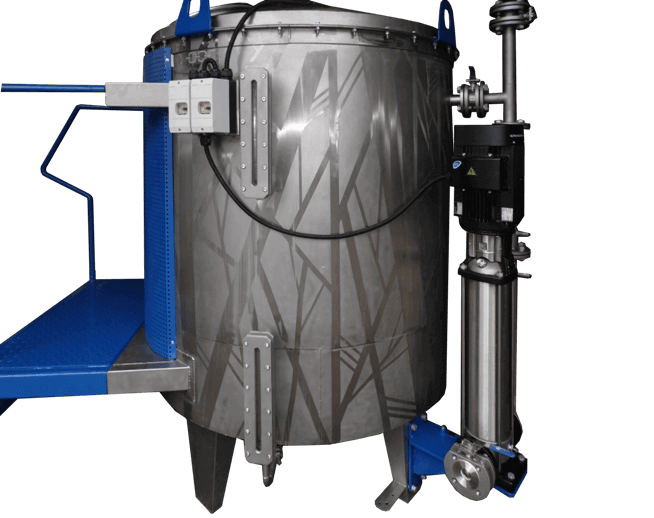 GlоbeCоre equipment is used for the production and storage of highly stable suspensions and emulsions consisting of several components. The final product can be stored in a container with all the qualitative characteristics preserved due to maintenance of appropriate temperature regimes. The production of blending units is one of GlobeCore‘s top-priority goals. Due to modern equipment and skilled specialists, we can produce within a short time high-quality containers with agitators to meet the needs of the hi-tech market. GlobeCore equipment can either be batch-produced or custom-made. Batch-produced models can be purchased directly from the warehouse. Containers may be of different capacity and equipped with different types of agitators either for a neutral or aggressive media. The GlobeCore production facilities are located in Oldenburg, Germany. It does not take much time to commission the containers with blending units. As long as a customer creates all the necessary conditions for the commissioning, equipment can be successfully delivered anywhere in the world with minimal lead times. Chief cook. Do you need to increase the regularity of your own production of the desired range and quality in accordance with the production task? If you answer “yes” to some or all of these questions, then you are on the right path! Order GlobeCore food containers with mixers! They will help to solve any of your production tasks! We provide maintenance services and have a warehouse of spare parts. We are always ready to help you! What do you need to do to have our equipment at you facility? produce and commission the unit at your facility. (1) I did not find a container with an agitator of the desired capacity. What should I do? GlobeCore equipment can be custom-made, so we can manufacture containers with mixers of any capacity and design. As a first step, contact us and specify all equipment operation practices. Our engineers are always ready to offer the best solutions. (2) What is the unit production time if it is an individual order? If it is an individual order, the unit production time is no more than 45 days. (3) What is the guaranteed use period? The guaranteed service life of equipment is 12 months. (4) Is it possible to manufacture equipment from other types of steel or its alloys? 5) Can a container with an agitator be equipped with additional units? Yes, it can. To meet an individual customer’s order, the unit may be equipped with frequency converters and sensors. If you still have questions, we are happy to answer them. Please contact us on one of the contacts.